$2800. 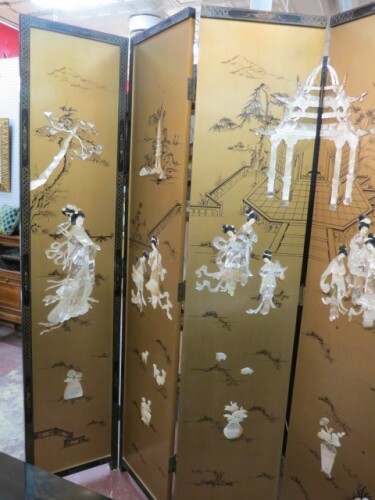 Vintage antique Chinese six panel screen c. 1940. Gold background with black hand paintings. Elaborate appliques of women, plants, and architecture; in mother of pearl, abalone, and hand stone. 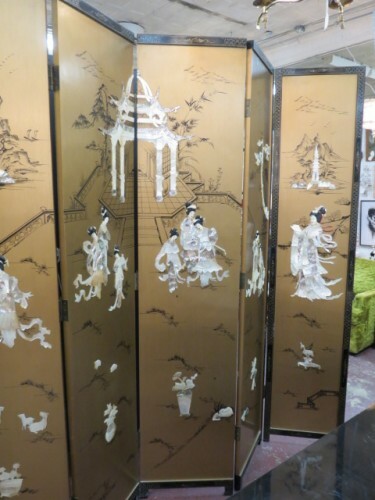 Intricately carved large pieces! 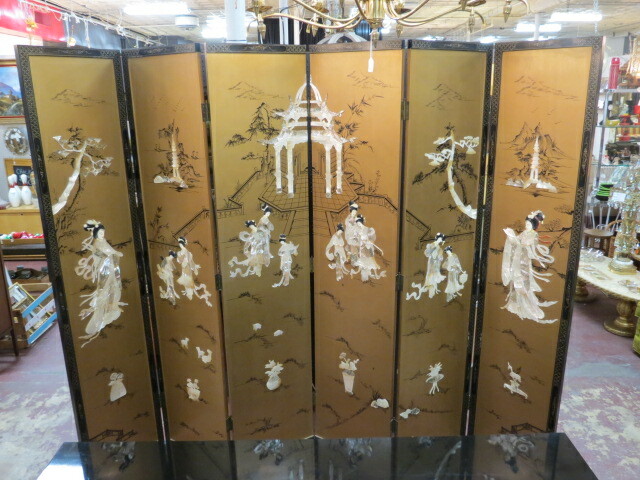 Back of screen is black with gold hand painting. Would make a fabulous division in a room, or look amazing behind a sofa! Excellent condition. Each panel measures 84” tall, 18” across, and 1.25” wide.